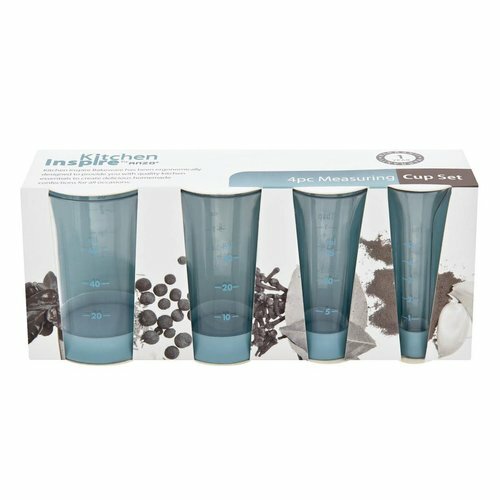 Measure ingredients with ease with the Inspire Measuring Cup Set. The uniquely designed Cups, each have a slight variance in design to provide you with a practical Measuring Cup Set that is easy to use. The Cups have measurements etched in ml, per tablespoon and per teaspoon. 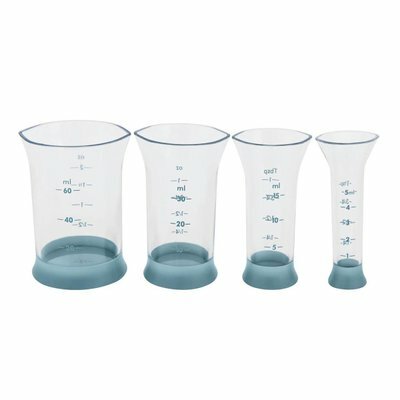 The Cups have been made using ABS Plastic and the Cups have a non skid TPR base. Not recommended for the dishwasher as it may wear away blue etching on furrow.